It’s been a long time since I’ve bought any makeup from a department store. I mainly buy from Sephora.com these days. If you know me, you know that I have a thing for lipsticks. I prefer the matte long lasting ones and sheers over the pasty or glittery ones. If I could only take one thing with me to a secluded island it would probably be a lipstick. A girl needs to look pretty all the time, you know. I shop at a nearby Super Target all the time and rarely do I ever check out their beauty stuff. Well, that’s because I always have my daughters with me and they love the pretty stuff just as much as I do. Of course, they can’t buy grown up beauty stuff, yet. And, I’ve got so much makeup (especially lipsticks) that they’ll ask me why I need to buy more. But, yesterday, I went and got myself a Sonia Kashuk lipstick in Rosette. I’ve been wearing it since I bought it and love how buttery it glides on. There’s no staying power but the color is beautiful and works well with my skin tone. Like all my other lipsticks, it too will go into the doomed lipstick box (Chanel, Shiseido, MAC, and Dior are already there along with CG, L’Oreal, and Maybelline) to be rummaged by my 10-year-old a few months later. For now though, I’m going to enjoy how pretty it makes me feel. Nice color! I was listening to the radio the other day and they mentioned that a woman instantly feels different when she puts on lipstick! LOL! Wow…that’s interesting. I think it’s true! That is a very nice color on you. I love it! I love that color on you. I hardly wear lipstick, but when I do, I prefer pinks and reds. 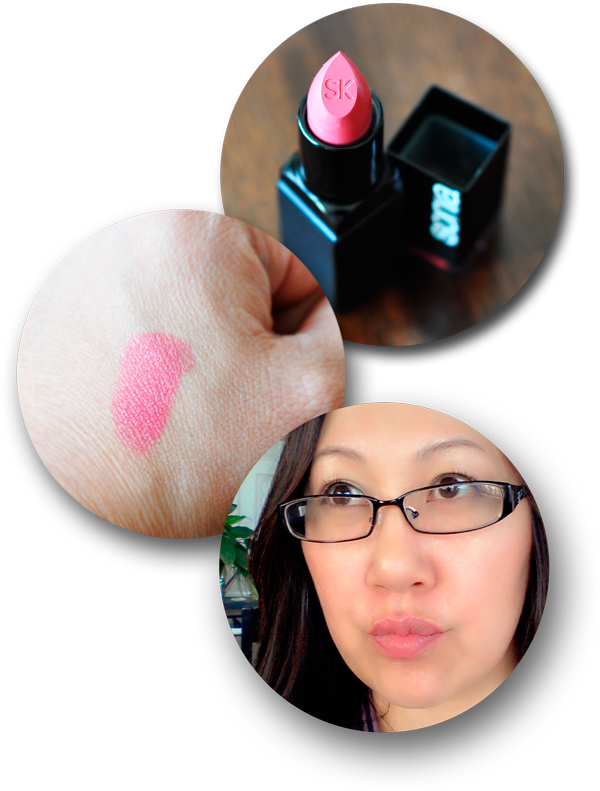 This blog makes me want to go out and buy a whole bunch of lipsticks now. Thanks! Me too…I’m drawn to pinks and reds as well. I’m glad this post inspired you to (want to) buy some!